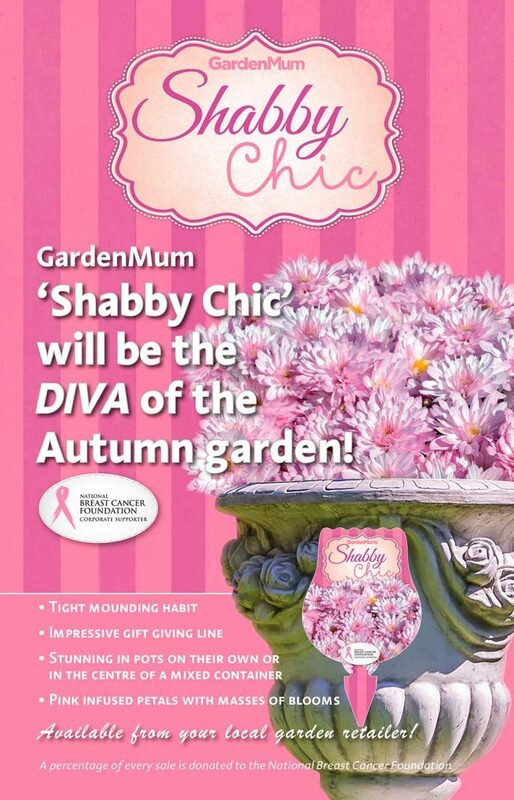 GardenMum Shabby Chic – will be the DIVA of the Autumn garden! 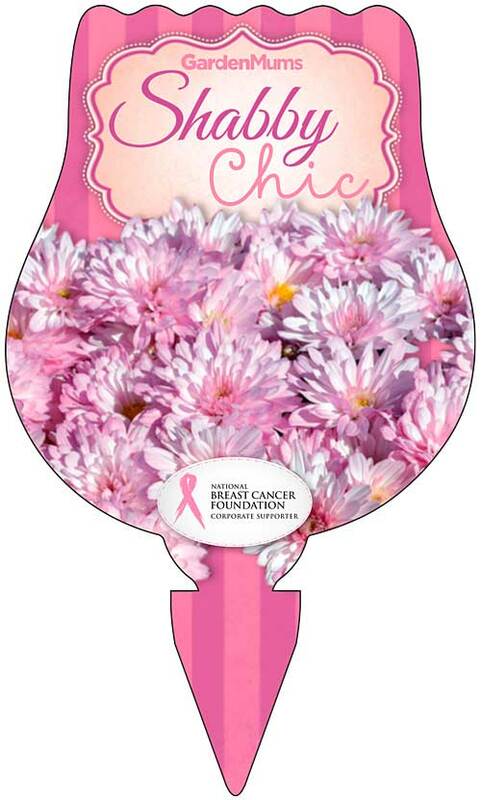 GardenMum ‘Shabby Chic’ offers growers and consumers a cause-related marketing program in conjunction with the National Breast Cancer Foundation (NBCF). The program has a purpose designed label of which 20c from the sale of the label goes back to the NBCF. GardenMum ‘Shabby Chic’ has masses of soft-pink coloured blooms that blend from pale tones to more vibrant pink shades creating an overall blushing of colours on each plant with a buttercup yellow centre. GardenMum ‘Shabby Chic’ has a tight mounding habit and is literally covered with masses of dense blooms that make the whole plant appear to be one big flower. The blooms last for weeks and the sheer number of flowers will offer high appeal making GardenMum ‘Shabby Chic’ a garden must have! It is perfect for sunny mixed beds and borders, stunning in pots on their own or in the centre of a mixed container, and of course ideal as a gift. GardenMum ‘Shabby Chic’ will find a presence in any home and is available at all good garden centres.